Fuada Hatkic can still remember her escape very clearly. When she arrived in Switzerland, her present home, in November 1993, she was injured, wounded and emaciated, she said. Hatkic was born in Teslic, a small northern town in what is now called Bosnia-Herzegovina’s Republika Srpska. Twenty-five years ago she had to flee the civil war with her 4-month-old daughter, Amila. They were lucky. They managed to reach Switzerland via Serbia, Hungary, Austria and Germany. “Many of my fellow citizens did not survive the journey,” said Hatkic, who was able to start a new life as a social worker in Switzerland. Today Hatkic is shocked by the agitation against refugees in her former homeland. “We, of all people, should know better,” she said. She is ashamed of Bosnian politicians and others who attempt to strip displaced people of their humanity. A few days ago, she and her daughter, supported by the Viennese Balkan blogger Christoph Baumgarten, started the petition #JerSmoLjudi (#BecauseWeAreAllPeople). In an open letter to Bosnia’s government, they have called on leaders to quit politicking on refugees and to stop further inflaming the situation. There is little relief for the 7,000 people who have arrived in Bosnia as refugees this year. 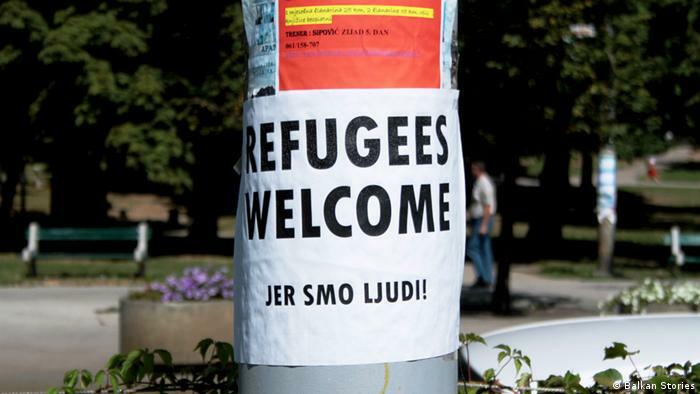 In the area around Sarajevo, the capital, refugees are accommodated in aid centers and provided care by organizations. There are activists and volunteers who are highly involved. But aid organizations are running out of money and resources. Many displaced people are forced to live on the streets or crammed into tents, often without food. It is particularly dangerous for refugees on Bosnia’s border with Croatia. 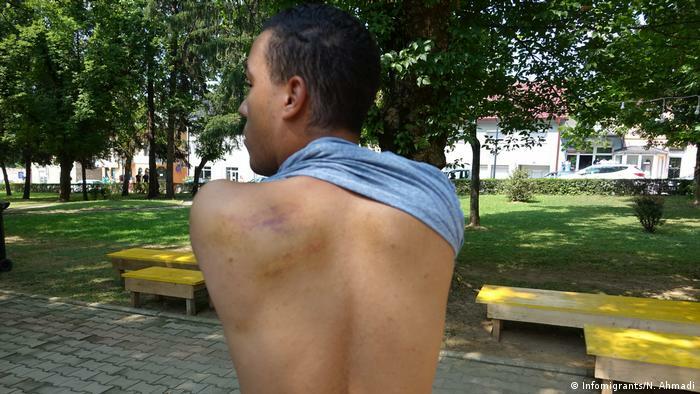 Recently, Croatia’s government has been forced to respond to pictures published online by an NGO that show the wounds that displaced people have reported receiving at the hands of Croatian police. Tuesday night, while having dinner between the volunteers working in Velika Kladuša, a man comes and asks us if we could check him, he just came back from “the game” and the Croatian police beat him. This is how his back looked like ten minutes after coming back from the border. “People are trapped in Bosnia at the moment,” Baumgarten said. He believes that a humanitarian disaster has been created by the closing of land routes from Southern Europe to northern countries that are better equipped to accomodate displaced people. For this reason, he said, the open letter is addressed not only to Bosnia’s government, but also to the European Union. The petition already has nearly 200 signatories, including such prominent diaspora members as the artist Aida Sehovic, who now lives in the United States, and Denisa Husic, an activist with the Social Democrats in Austria. Other supporters come from Germany, Serbia and Slovenia. An appeal to sign the petition in the Viennese magazine Kosmo has also drawn attention to the topic. 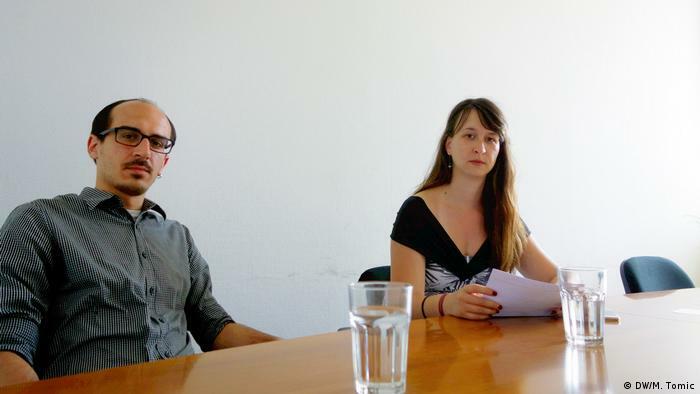 The magazine targets people from the former Yugoslavia who now live in Austria. “We would like to report on the current situation in Bosnia so that refugees in Bosnia, and also the more than a thousand volunteers, are given a voice,” said the Kosmo journalist Dusica Pavlovic, who translated the appeal into Bosnian. Pavlovic acknowledges the fact that Bosnia does not have the resources to build the refugee infrastructures that Austria, Switzerland and Germany have. But, she added, the rabble-rousing is getting in the way of creating a minimum standard. The editors are hoping to get more onetime refugees to share their stories in videos posted to the site.